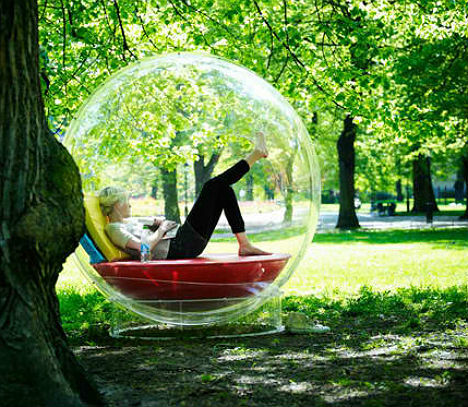 Sometimes, living in a bubble isn’t such a bad thing. 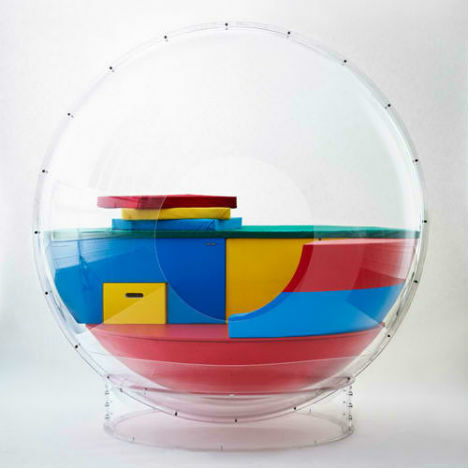 Cocoon 1 by Micasa Lab is a plastic pod providing a room-within-a-room, a separated space in which to disconnect from the rest of the world without feeling completely separated from it. 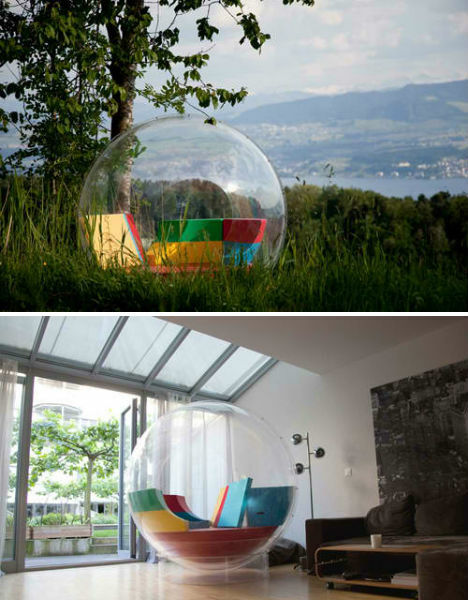 Cocoon 1 can be used indoors or out, and is small enough to easily fit inside most interior spaces. 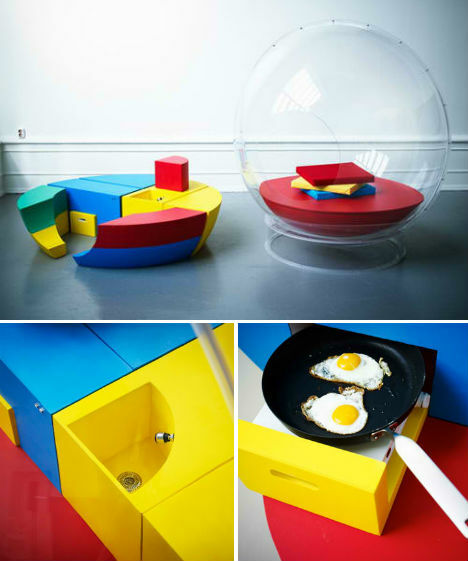 With built-in furniture in primary colors, this living pod looks a bit like a child’s playhouse, but it actually contains a kitchen and a power pack that can provide either 40 hours of light, or 20 hours of light and 30 minutes of cooking. It’s even available with running water, and comes with a hanging net that can be used to suspend it from a tree. Micasa Lab envisions the Cocoon 1 transcending the border between space and object, providing a variety of functions that can be tailored to the individual user.